An explosion targeting an ISF General, killing 8 Lebanese and wounding dozens brings us back to the black days. At first, it’s a small explosion. Half an hour later, it is reported to be one of the biggest blasts Lebanon has ever saw. 4 Hours later, it turns out that one of Lebanon’s top security officials, the head of the information branch of the ISF is the target. At first, politicians on the ground said that the bomb was destined to hit civilians and spread fear in the capital as there were no politicians targeted. Some went as far as considering it an attack against the Christians of Beirut. Pictures of Bachir started surfacing all over the Facebook profiles, so were statuses on the Hundred days war. That was before everyone knew that the target was apparently General Wissam Hassan, head of the information branch of the ISF. Suddenly, the anger went to the Sunni streets. Wissam El Hassan is after all a Sunni General heading one of the most anti-Syrian security apparatus and considered to be more or less loyal to M14 (He used to be Hariri’s chief of protocol). One cannot but expect a sectarian reaction in this country. At first the Christians seem targeted, so you hear sectarianism rising among Christian politicians, then the Sunnis suddenly become the target, so angry mobs take the Sunni Streets of Beirut and start burning tires. What is even more shocking here is the time the ISF members took to realise that the target was the Number 2 official in the institution. Didn’t anyone try to contact him? Weren’t they supposed to report at him or take orders? Weren’t some of his men aware of his location and didn’t they realize that he happened to be in the region of the explosion? Either they were too cautious to announce his death, or something seriously went wrong. Whoever planned this knew something about the General. Tracking him is hard – he should have a strong security circle. Someone should have been watching him (or his phone calls) – and that’s very hard to do, he is after all one of the top intelligence men in Lebanon – and knew where he was going, or someone from the inner circle leaked the info. In both cases, there’s a breach in the security. The head of the police intelligence was taken down and that can only mean that the breach must be very important, but also very easy to find. The Ultimate question: Who did it? Wissam El Hassan had many enemies. He was a pro-Hariri and there wasn’t that much of chemistry between him and M8. 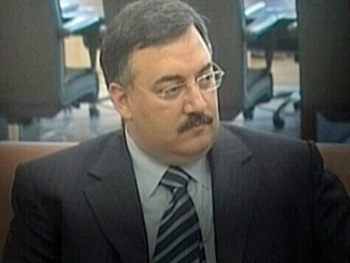 He was also one of the key figures that brought Michel Samaha to his cell. So yes, you have the “Syria did it” and the “Syria’s men in Lebanon did it” theories. Will be probably fueled by M14. But Wissam El Hassan had other enemies. One month ago, three Fatah El Islam Islamists escaped from Roumieh’s prison and no one realised that until last week. That gives these people – if they weren’t dead in Syria like it was reported – the time to plan on avenging their loss against the Lebanese military by targeting one of the most important officers in the ISF. That’s what I call the “terrorist did it theory”. Will be probably fueled by M8. And of course, there’s the Zionist conspiracies and “Israel and the Mossad did it” theories. Will be probably fueled by M8. But like the assassinations of General Francois Hajj and Captain Wissam Eid, this question will probably remain – Hopefully not – an unanswered one. May the Souls of the martyrs lost today rest in Peace. Posted in Assassination, Explosion, Lebanese Politics, Politics, Wissam Al Hassan on October 19, 2012 by Ramez Dagher.